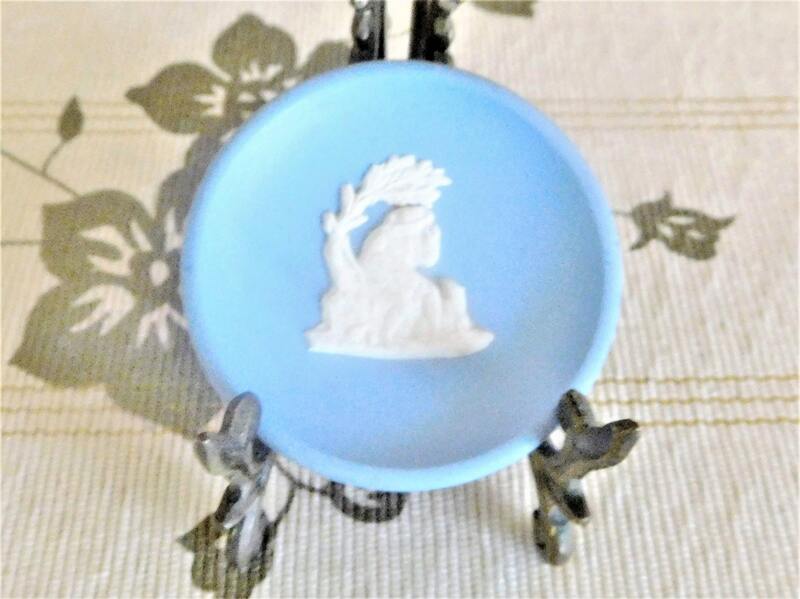 Dudson Hanley blue Jasperware miniature plaque made in the 1940s, featuring seated shepherd with dog. Perfect, pristine condition. 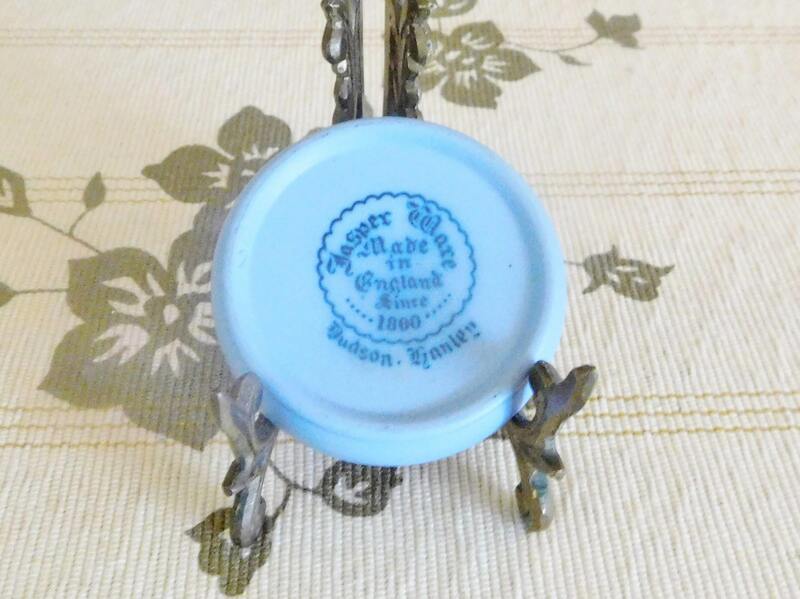 This wonderful little collectible measures 6cm across.